You would never want to insult your students by having "little kid" books in your classroom library, even if you have students reading at that level. But is it ever okay to bring children's stories into the classroom? 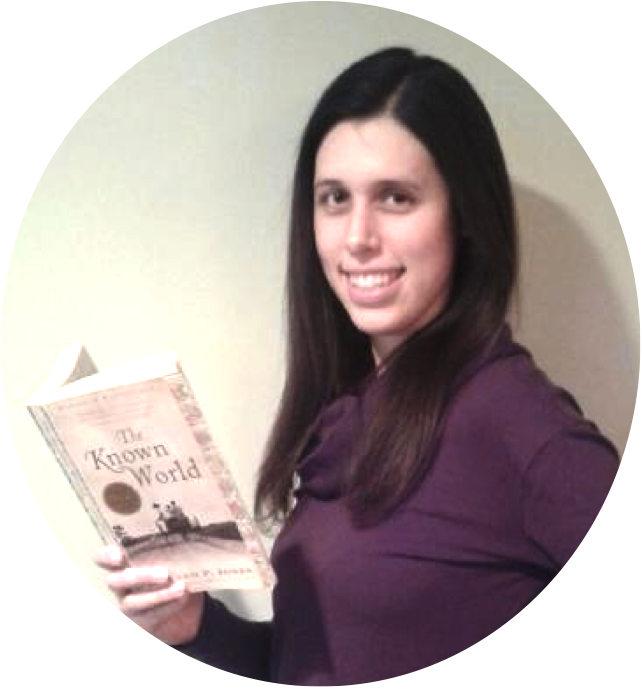 My blogger friend Lauralee of The Language Arts Classroom wrote a post about using literary terms like characterization, mood, and point of view from children's books to teach high school students. It got me thinking about how I use The True Story of the Three Little Pigs by Jon Scieszka and illustrated by Lane Smith to teach the literary term unreliable narrator. And that got me thinking about a fun creative writing assignment, having students retell a classic fairy tale or other well known story from an alternate point of view. I use The True Story of the Three Little Pigs by Jon Scieszka for this lesson, but there are so many other choices: The Frog Prince Continued also by Jon Scieszka, Goldilocks and The Three Bears by James Marshall, and these collections of The Other Side of the Story. I haven't read any of the stories from The Other Side of the Story collections, but each story can also be purchased individually like Really, Rapunzel Needed a Haircut! and Seriously, Cinderella Is SO Annoying! I even learned that there is a term for this type of story, a fractured fairy tale. I am partial to the Jon Scieszka books because they always have great illustrations. I scan the book and create a PowerPoint of the pages so that my students can read along with me. If you are having trouble getting your hands on one of these books, many of them can also be found on YouTube. I also saw some great Pinterest boards of other titles. There are so many possibilities. Which story you choose to use as a mentor text is up to you. I recommend not sharing too many as not to limit students' choices when they choose a story to rewrite. 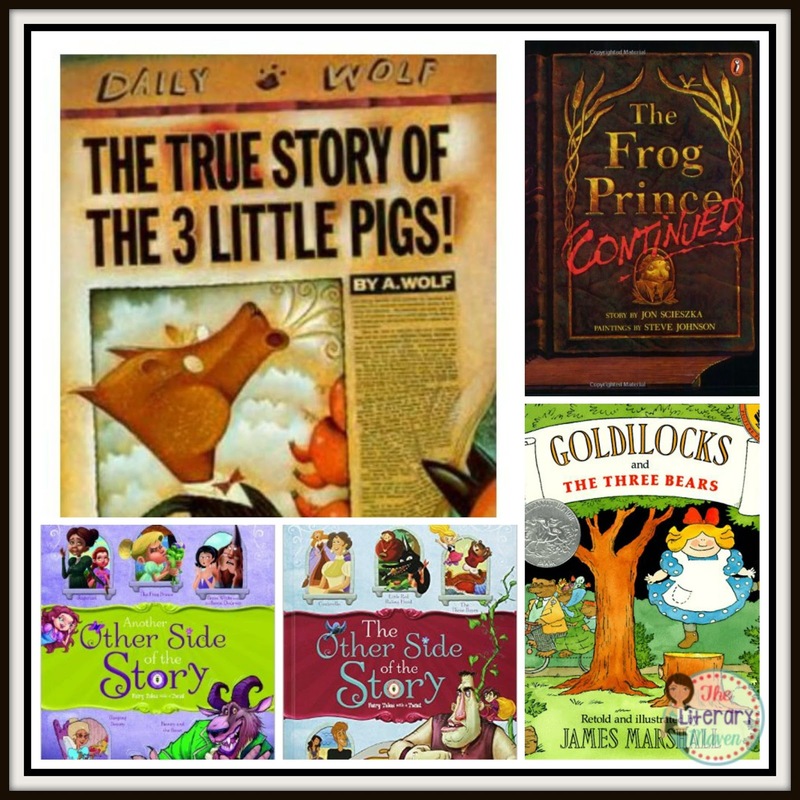 After analyzing the differences in The True Story of the Three Little Pigs, I offer some suggestions of topics (including superheroes for those boys that think fairy tales are girly) and planning questions to help think about how students' stories would differ from the originals. After re-capturing the Riddler, Batman and Robin went back to the batcave. While in the batcave Robin was thinking over how his role as a superhero all started. Allowing students to retell a well-know children's story from an alternative perspective gives those students who struggle with getting started a starting point as well as a format to guide their writing, while still hitting all of the Common Core narrative writing standards as well as working on characterization and point of view. 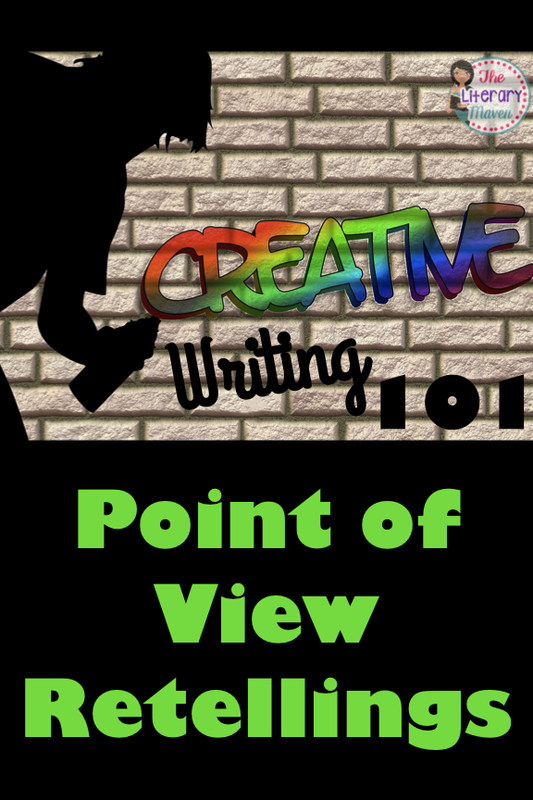 For this and other creative writing activities, check out this engaging, common core aligned resource.